The Sales window displays all the products, vouchers and memberships that have been sold. To open the sales window select from the onCourse menu Activity-> Sales. 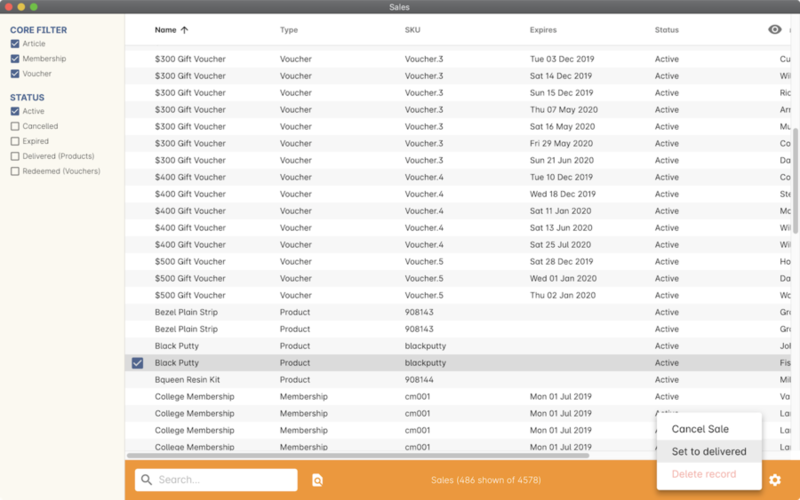 The Voucher email can be sent for one or more vouchers using the cogwheel icon > send email from template > Voucher email. To open a memberships record simply double click on a record in the list, which will open a new window. 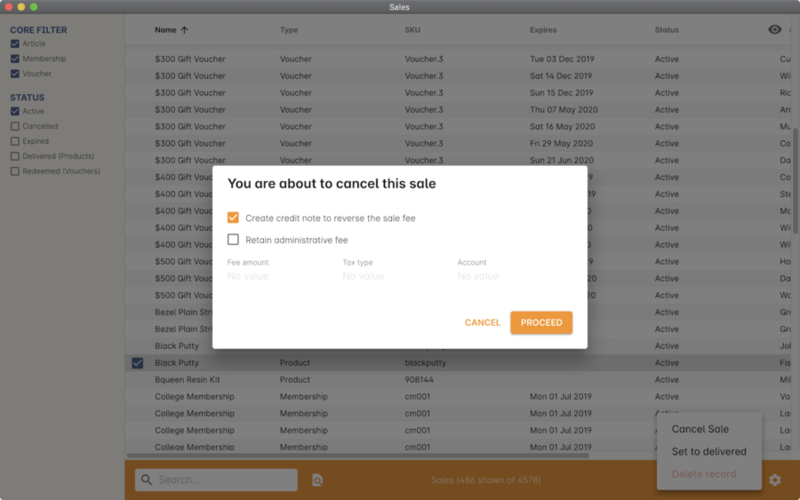 General - this tab allows you to change the expiry date (prior to the membership expiring). This tab also show information about who purchased the membership; on what day; when it's valid from; the purchased price; and the status of the membership. Redemption - this tab shows all invoices where the membership was used as a payment method during enrolment. Double clicking on an item in this list will open the related membership, where you can see the specific membership redemption information in the payment panel. 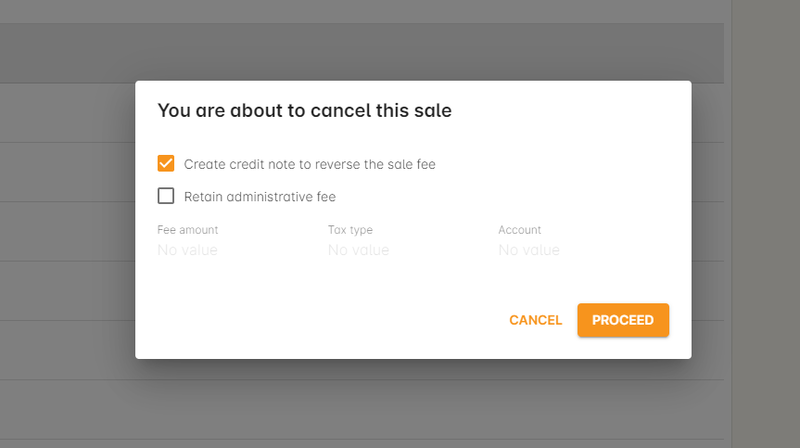 Create a credit note to reverse the sale fee (this is checked by default). Retain an admin fee and apply it against a certain account. 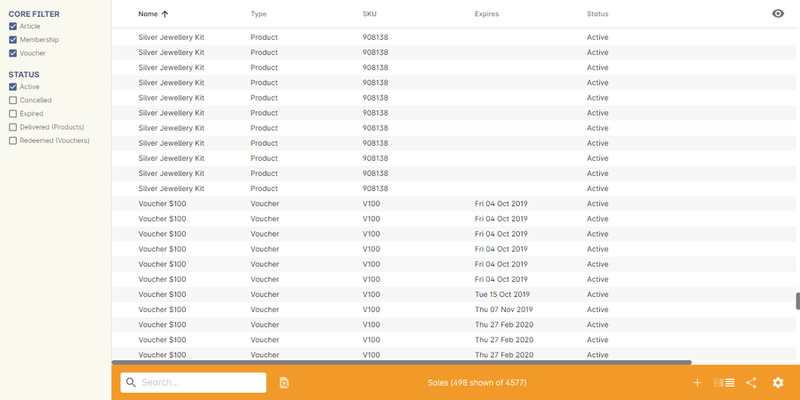 To open a voucher record simply double click on a record in the list with the Type 'Voucher'. 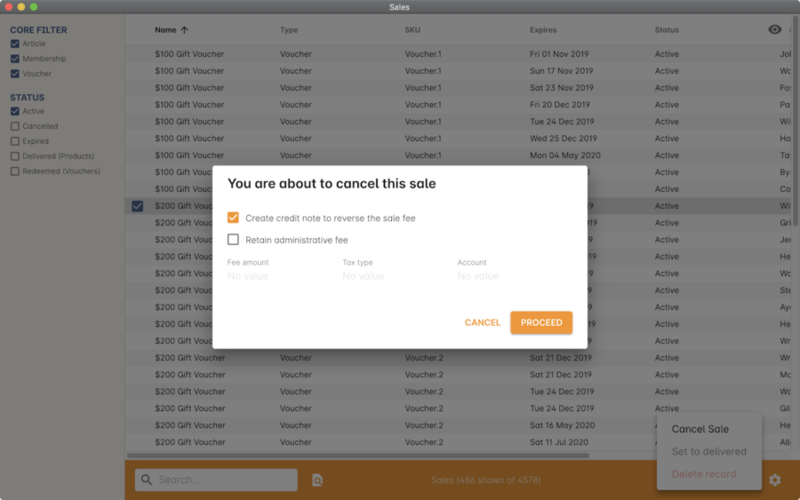 To cancel a purchased voucher simply highlight the voucher you want to cancel, then click on the cogwheel and choose the option 'Cancel sale'. Once you have done that a sheet will pop down with the option to create a credit note to reverse the sales fee. If the voucher has been partially redeemed you will get a red message notifying you this, as shown below. Unlike the purchased Memberships and Vouchers, you cannot open a purchased product record. 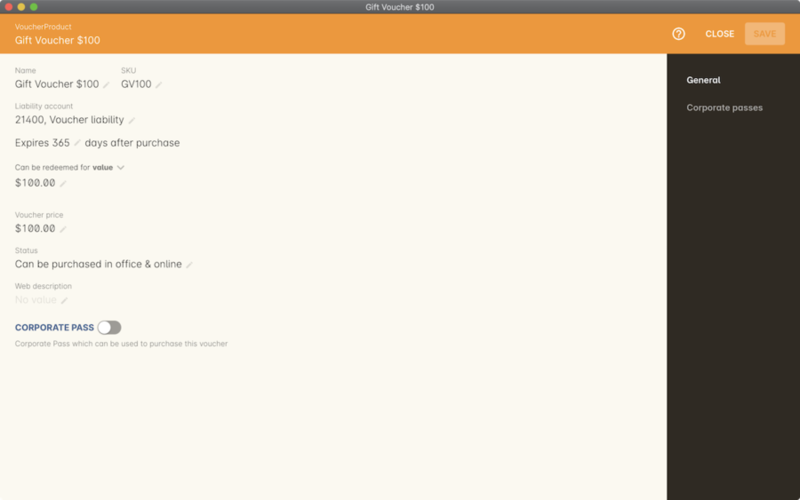 You can set the status of a product to delivered from the sales list view. This can be done by highlighting the product -> click on the cogwheel -> select the option 'Set to delivered'.